Pros Extremely reliable instant sealing - will work on any food type. Starter kit makes it incredibly easy to use. Cons A bit pricier than most other models, but its longevity will save you money in the long run. 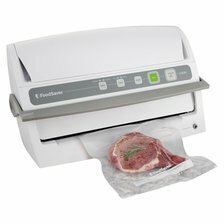 Summary The best vacuum sealing system on the market right now. Its high-quality and durability pays for itself. Pros Highly portable, compact design Features a comfortable pistol-style handle. Cons We wish that this unit could be plugged in given its subpar battery life. 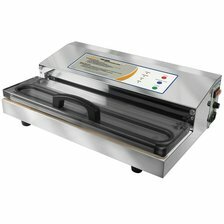 Summary If you're seeking a highly portable unit without compromising performance, this vacuum sealer is a great option. 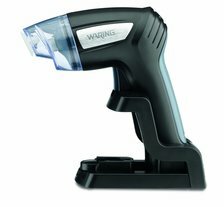 Pros A good fit for anyone seeking a simple one-touch operation and safe handling of delicate foods. Cons This product is much larger in person than it appears in online photos. 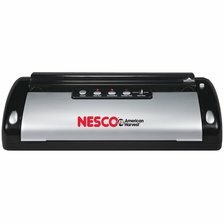 Summary Some competitors offer more features, but this sealer is a well-rounded deal at a very affordable price. Pros Customers praise its unique single-touch or manual mode operations and a large Teflon bar. Cons This unit is very heavy and large, making it difficult for some users to move around when needed. Summary Given its hefty price tag, we recommend the FoodSaver instead. Pros Distances itself from competitors thanks its ability to fully vacuum seal in seconds. Cons Doesn't have individual buttons for vacuuming and sealing. Summary It's hard to argue with the performance and reliability this sealer offers for such a low price. Definitely the best value.